Milkman Jim Turner was my first major league pitching coach. I met him in Fort Lauderdale when I arrived at spring training in February, 1966. He had pitched for the Boston Braves and the Cinncinnati Reds, where he got his first World Series ring in 1940. He was traded to the Yankees in 1942 and got his second ring in 1943. His story always interested me: a 20-game winner in his rookie season in Boston in 1937, going nine innings (sometimes more) twenty times that year. He played for the Braves while Casey Stengel managed them. While Milkman Jim enjoyed a nice career, he was never as good as he was that first season. Milkman Jim spent 52 years in baseball, eleven of them as Casey Stengel’s pitching coach. He helped Allie Reynolds, Vic Raschi, Eddie Lopat, Don Larsen, Johnny Sain, Ralph Terry, Whitey Ford, and so many others develop their pitching skills. Admittedly, I was not his biggest fan. I always had the impression Milkman Jim only liked the big stars and didn’t seem all that interested in a bunch of us. He tried hard to get me to throw a curveball the way Whitey did – that’s not easy to teach. But I was also a kid and maybe I should have tried a little harder to listen to Milkman Jim. Later, I learned that it was Milkman Jim who taught Raschi how to throw a curve. I guess that’s a common problem in life – you don’t know what you don’t know until you’re forty. Jim Turner passed away in 1998, at the age of 95. He was a Yankee hero, and I want to remember him fondly on the 112th anniversary of his birth. I never heard the full story about the shakeup of the Yankee coaching staff after the 1959 season, when New York finished third in the American League East. Over the years, I heard that Ralph Houk was a rising star and the Yankees, already grooming him to succeed Casey Stengel, were concerned that The Major would take the open manager’s job with the Kansas City Athletics; he reportedly turned the job down after the Yankees agreed to give him the First Base Coach spot, knocking out Charlie Keller. And I had been told that Eddie Lopat was emerging as a successful minor league manager and they didn’t want to lose him – so I assumed that’s why they dropped Jim Turner and gave Steady Eddie the job. What I do know is that Turner wound up getting the pitching coach job in Cincinnati in 1961 and helped them get to the World Series against the Yankees. He came back to the Yankees in 1965, my rookie season. I am hoping that CC Sabathia does not pass me on one particular All-Time record list: most career Home Runs given up by a Yankee pitcher. 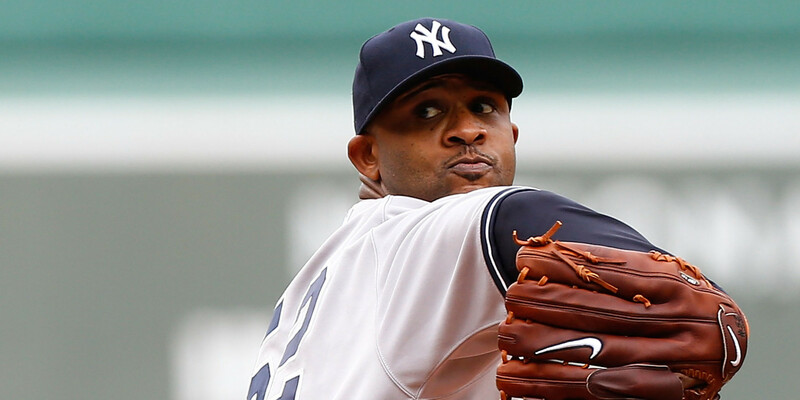 CC has given up 134 homers while in pinstripes – that’s the 9th most All-Time. If he gives up four more Home Runs, he will tie Lefty Gomez for 8th, and if he gives up five more, he will tie me for 7th. I have up 139 Home Runs between 1966 and 1974. The rest of the Top Ten: Andy Pettite (236); Whitey Ford (228); Ron Guidry (226); Red Ruffing (200); Mel Stottlemyre (171); Mike Mussina (166); and Ralph Terry (133). I’m not in bad company!